Find DJs for weddings in New York that will play all types of happening tunes that will keep all your wedding guests glued to the dance floor. Browse our wide selection of wedding DJs in New York. Some of the Best Wedding DJs in NY! Choose from the largest team of heavily screened marquee DJ's at Scratch Weddings! All the DJ's on staff have entertained guests at thousands of weddings, corporate events, tours, and music festivals annually. The wedding DJ service company even works closely with such brands as MTV, Saks, Vans, Bloomingdales, ESPN, Royal Carribean Cruise Lines, Ann Taylor, Pepsi, Sandals Beach Resorts, and W Hotels. A welcome alternative to your typical wedding DJ services in New York, Scratch is the perfect solution for couples seeking the most skilled and versatile DJ's money can buy! Log onto the website and get your free quote today! Having a wedding? Well, if you're looking for wedding DJs in New York, you might want to meet up with the people behind Parties On Point Entertainment. 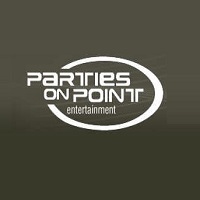 With 20 years-- and counting!-- experience in the music industry, Parties On Point has built quite a large satisfied clientele who all seem to agree that the services of Parties On Point are great! Choose from Classic, New Wave or Modern music and have the wedding music of your dreams. Get your free consultation now! Making Your Wedding Vibrant With Premiere Entertainment! 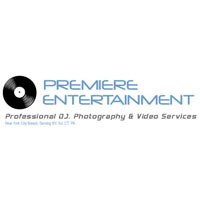 A preferred choice in having a wedding DJ here in New York, Premiere Entertainment provides great entertainment, playing only the music that you desire during your wedding and making sure that the fun never stops. With their dedicated team they will see to it that there are no dull moments at your wedding. So have Premiere Entertainment provide great entertainment for your wedding celebration. Make your reservation and contact them through their website or by phone. A Wedding DJ that Can Make Your Celebration A Rocking Good Time! Have Expressway Music DJ's provide their services in making your wedding celebration a lively and fun event. With their services, they will make sure to play all the right songs during your wedding and leave out those songs that you don't want to hear. The team of Expressway Music DJ's will see to it that no detail is left undone in which your wedding will be a great success where everyone will enjoy. So have Expressway Music DJ's make your celebration a fun filled event. 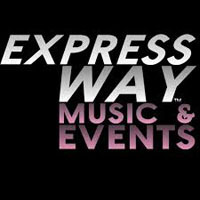 Contact Expressway Music DJ's and make your reservations today. A Wedding Celebration That You Won't Soon Forget! Have Jerry Laskin Enterprises Inc provide their wedding DJ service and let them make your celebration a fun filled event where everyone is having a great time. 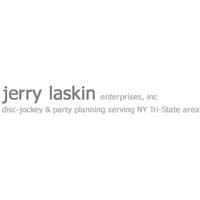 With Jerry Laskin Enterprises Inc they offer to provide the event organizing and planning, photography services, videography services and make your wedding an overall success. So have Jerry Laskin Enterprises Inc provide the best entertainment for your wedding. Visit their website for more information or inquiries and make your reservations today. Always A Great Celebration With Jam Mix Productions! Let Jam Mix Productions provide their DJs for your wedding celebration and you will definitely enjoy great entertainment and will have a memorable time of your life. With their services in providing DJs and entertainment for your special events, Jam Mix Productions will dedicate themselves towards making your wedding celebration a success in which everyone enjoys great music. 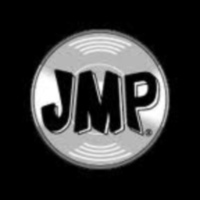 Jam Mix Productions is a preferred choice in New York for DJ services and entertainment. So make your reservations and have Jam Mix Productions provide their services in making your wedding a fun filled event. Creating The Perfect Music Mix With White Label Wedding DJs! A preferred choice in wedding DJs here in New York, White Label Wedding DJs offers to provide the best entertainment for your wedding in which there are no cheesy songs but an exceptional blend of music that can keep your wedding celebration a fun filled event. With their dedication towards providing spectacular music for your wedding, White Label Wedding DJs will see to it that all your favorite songs are played. So have White Label Wedding DJs make your wedding celebration a memorable experience in which you have a great time. Visit their website for more information and for reservations. 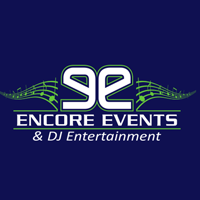 Encore Events and DJ Entertainment provides wedding DJs in New York. So, if you're thinking of ways to make the most important day in your life truly special, hiring a DJ for entertainment is the way to go, and getting Encore Events may just be the most important decision you'll ever make. Encore Events is dedicated to making your wedding memorable by providing you excellent music from eras of the past to modern times. Get your guests dancing to the music all night long, and get the energetic DJs from Encore Events to make it all happen. A Wedding DJ That Can Provide Great Entertainment At An Affordable Rate! Have Tri State Wedding DJs provide the best wedding DJ services for your special celebration. With their passion and dedication to music, they provide nothing but the best entertainment in playing great songs for your wedding. 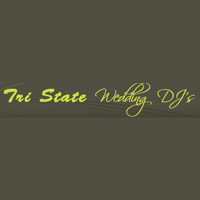 Tri State Wedding DJs is equipped with a state-of-the-art sound system, lighting and laser light shows and can make any event even more lively and vibrant. So have Tri State Wedding DJs provide the best entertainment for your wedding. You will definitely enjoy a memorable experience where your wedding celebration is full of fun and excitement. 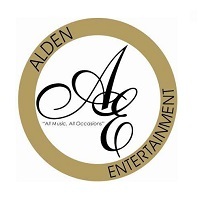 Specializing in DJs and live events for weddings and all kinds of occasions, Alden Entertainment is perfect for all your live music and entertainment requirements! So, if you're looking for wedding DJs in New York, Alden Entertainment is worth checking out. They have several wedding packages, the duo package where you get a vocalist host and a DJ; the DJ package where you can choose from 40s music and up, and many other add-ons you can get. With Alden Entertainment, you get great DJs to play great music with a great sound system! A New York Wedding Where Everyone Is Having A Great Time! 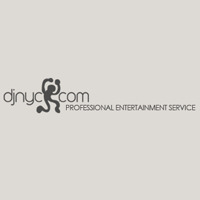 DJ NYC is the one to go to for getting a wedding DJ for your special celebration. With DJ NYC you can expect that the music that will be played at your wedding will be lively and all the more entertaining. DJ NYC is complete with a state-of-the-art sound system and light show. It will definitely make your celebration a fun and exciting event. So hire DJ NYC and let them play all the songs that you want to hear at your wedding. Visit their website for more information and inquiries. A Wedding With Great Beats And Cool Music! 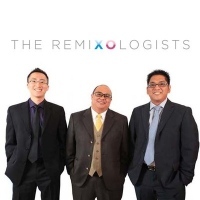 Let The Remixologists provide the music for your wedding celebration and let them play your favorite songs in order to make your wedding event more special. With The Remixologists you will expect to have a wonderful experience in which your wedding guests enjoy the songs at your wedding and will dance to the beat. Have The Remixologists make your celebration a fantabulous event. Make your reservations by visiting their website or calling them at their hotline number. High Energy Feats From DJ Gatsby! Let DJ Gatsby make your wedding celebration a wonderful event in which great music is played and where the beats are catchy. Jonathan Simon, aka DJ Gatsby, provides a unique blend of music ranging from high energy music to chills and aesthetic tracts to fit any crowd. Also, DJ Gatsby is equipped with an amazing sound system and a spectacular lightning. It will surely make your wedding a fun filled celebration. 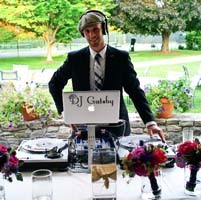 So have DJ Gatsby make your wedding day special. Visit his website and make your reservations today. 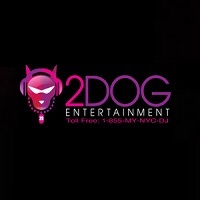 One of the most popular DJ entertainment companies in New York, 2Dog Entertainment provides wedding DJs in New York. Satisfied clients profess 2Dog to live up to their motto of listen, prepare and deliver. And that's what they do! They listen to whatever you want, prepare what you want and give you exactly what you want! The focus will always be you at 2Dog Entertainment because customer service is important to them. So, when you're ready to hire your wedding DJ, check out 2Dog Entertainment's savvy DJs. Run Away With Us, Where Music Makes Your Wedding Complete! 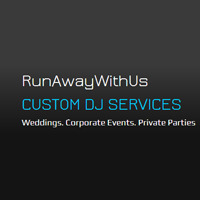 Have Run Away With Us provide their DJ services for your wedding celebration. They will provide the best music tracks for your event and make sure that your wedding is lively where everyone is dancing to the beat. Founded in 2007 by Michael Foglio, he saw the need for an out of the box DJ service that incorporates various blends of music in order to set the mood for the celebration. So let Run Away With Us make your wedding celebration here in New York a great success. Visit their website for more information and for inquiries. Looking for wedding DJs in New York that are perfect for all generations? 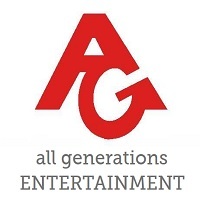 Try All Generations Entertainment! With All Generations Entertainment, music isn't just for the young, or the old and those in between. All Generations Entertainment DJs can make wonderful music that will make everybody never want to leave the dance floor! As 2013 Wedding Wire's Bride's Choice Award recipient, All Generations Entertainment is dedicated to making your dream wedding a reality! Visit their website and give them a call now! DJ Zac Barr In The House! Wedding DJs in New York might just be the thing you need if you're planning a wedding and you're seriously close to pulling all your hair out! Wedding entertainment can make every wedding fantastic so you never have to worry how your wedding will turn out! Check out DJ Zac in New York, a veteran DJ and emcee with 20 years of disc jockeying experience. 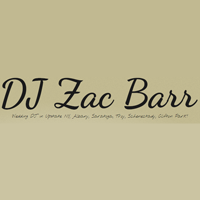 With DJ Zac, you get a personalized approach to your wedding, and get a wedding like no other! Check out what others have to say about him and call him today for a free consultation! Looking for wedding DJs in New York that will make every single one of your guests a party starter in their own right? 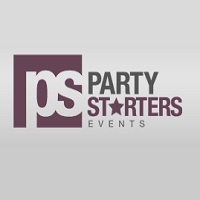 Check out Party Starters Events! Party Starters Events can make even the most shy of your guests dart to the dance floor and start the party, you'll be surprised! Party Starters Events, a DJ services company owned by the DJ himself, has one mission in the industry: customer service. They pride themselves on their wedding-oriented customer service skills. You're bound to have a tough time choosing your wedding DJ. So check them out! Wedding DJs in the Capital! If you're envisioning a wedding reception where you're dancing happily around friends, your new husband close by, and every single one of your guests having a great time all on a packed dance floor, then you're in luck! 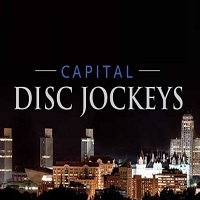 Capital Disc Jockeys, a DJ service company, offers wedding DJs in New York for those who will accept nothing but a jammed dance floor! 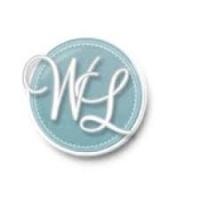 Check out their wedding packages and look around their website. They've got other wedding services all designed to make your wedding totally fabulous! Non-stop dancing, endless memories with great music: that's the promise of BTL DJs. So, if you're looking for wedding DJs in New York, you better check them out. BTL DJs make sure you enjoy your wedding by providing great music and great people. They provide not just DJs but emcees, and all other wedding entertainers like dancers and party motivators. They also have wedding equipment that you can rent to make your wedding truly a special day. So, look around their website, check out their wedding song list, make your own and call them to discuss everything.